Sleeping like royals, it sounds very exclusive and it is! But a night in a castle doesn't have to be expensive. 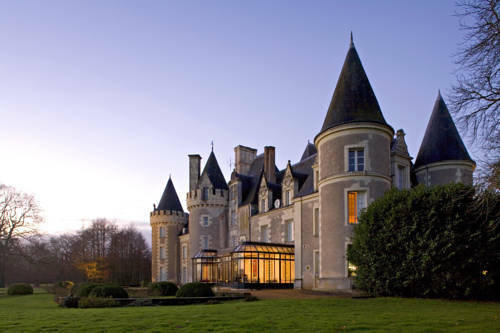 There are French Castle Hotels where you can sleep for around 50 Euro per person! Fairy tales become reality when you find yourself surrounded by luxury and relaxation away from the hustle and bustle of everyday life! 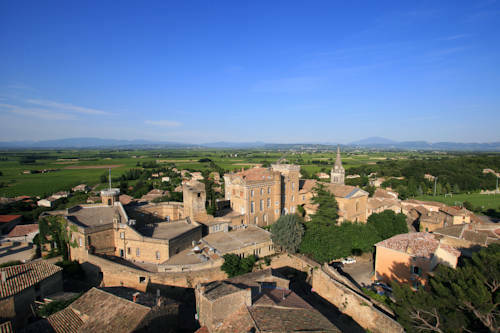 On this page you will find a selection of French Caste Hotels for less than EUR 100 per room per night, and a list of mid- prices French Castle hotels. 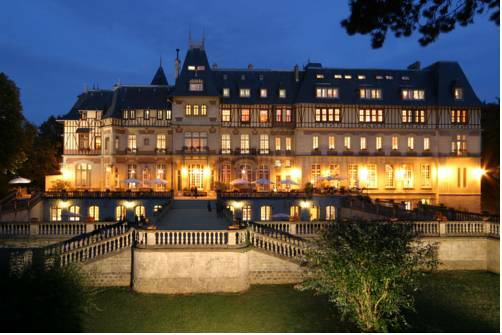 If you really want to live like royals for a few days see these 4-star and 5-star Castle hotels throughout Europe. 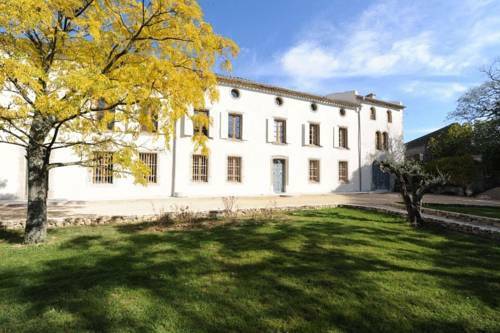 Situated within 2 hectares of parkland, this 18th-century chateau is 1 km from the village of Saint Jean du Gard. It features an outdoor swimming pool, a tennis court and 10 km of footpaths through its private forest. 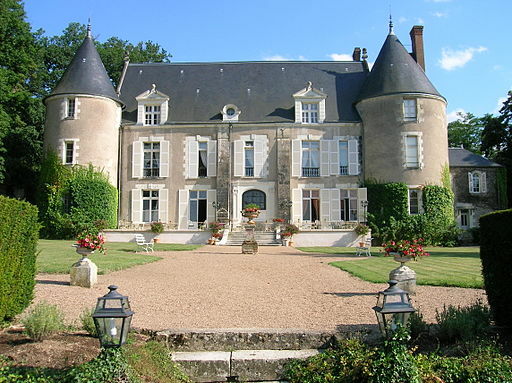 Chateau De La Sebrandiere is charming castle built during the Second Empire and located in Marais Poitevin. The heated swimming pool is open during the summer season. 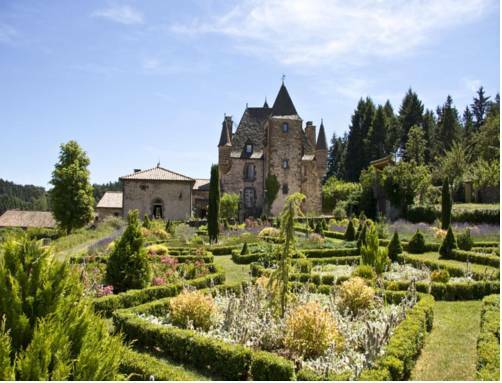 This 19th-century castle is set in a private garden at the foot of Marignac Forest, just 9 km from the Spanish border. 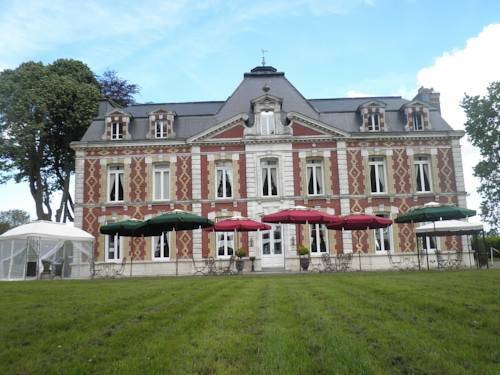 Chateau Serre Barbier offers modern individually decorated rooms. 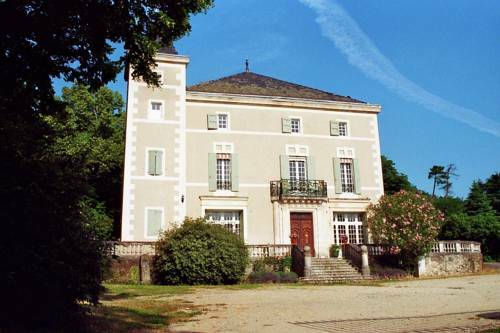 This Chateau is located in Saulon-La-Rue, in the Côte-d'Or countryside. 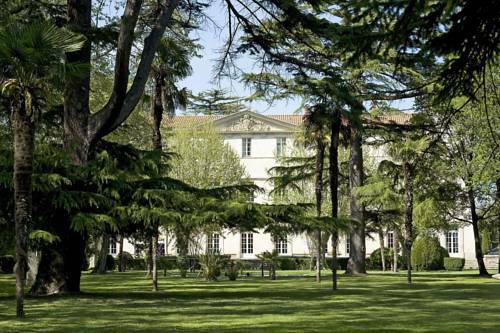 It has an outdoor swimming pool and tennis court, surrounded by 27 hectares of parkland with a private fishing pond. 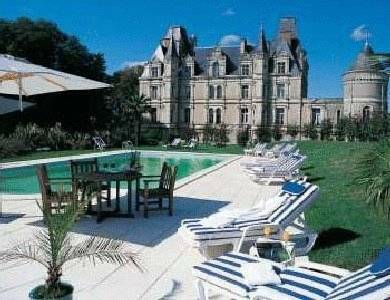 Chateau de la Redorte features rooms and self-catering accommodation in a castle sitting in a park. It offers a wellness centre, free Wi-Fi and free private parking. The guest rooms have a flat-screen TV and an en suite bathroom. 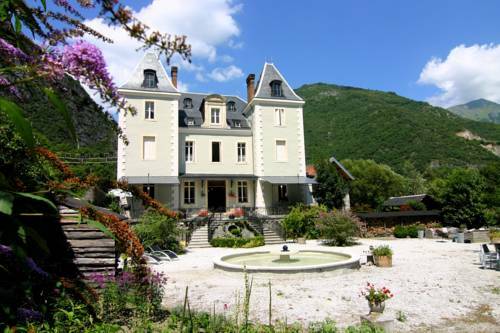 Offering a la carte restaurant and a swimming pool, Chateau Saint Marcel is located in Boé. 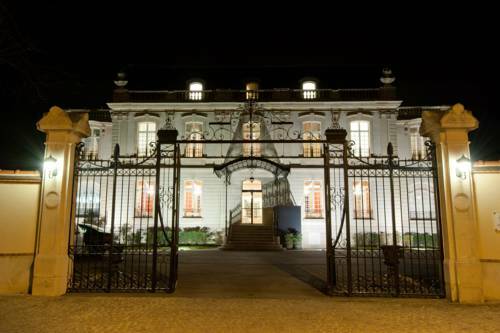 This hotel is set in a property originally built in the 17th century. It offers a large garden with cedar trees. 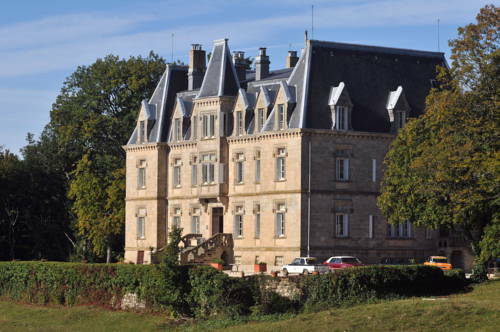 Chateau de Salles is located on a hill overlooking the Cère Valley and the Cantal Mountains. It offers en suite rooms, a restaurant and swimming pool. Free Wi-Fi is available. 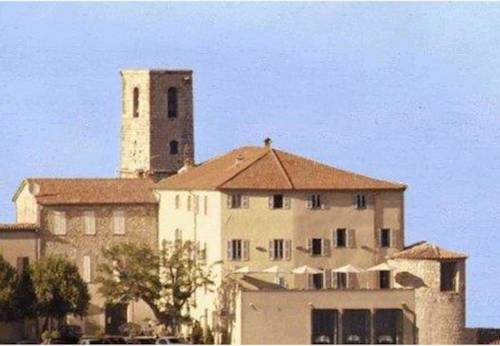 Chateau de Grasse is a family-run hotel set in a castle dating from the 13th century, 6 km from the centre of Grasse. Panoramic views of the Loup Valley are offered from the terrace and free Wi-Fi is provided. This 15th-century chateau is located in the Dordogne countryside, a 5-minute drive from Brantôme and is set on 160-hectare tree-filled park with an outdoor swimming pool. 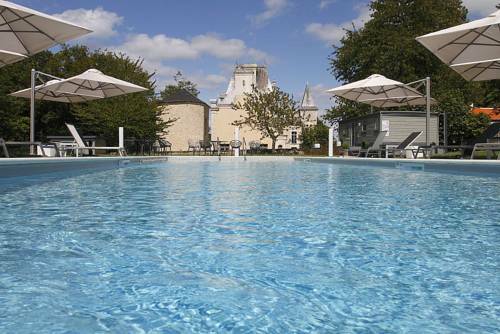 La Menaudière is located in the heart of the Loire Valley, 5 km from Chateau de Chenonceau. Set within a large park, it offers an outdoor, seasonal pool and free Wi-Fi access at the reception and on the terrace. Chateau du Bost Hotel, located in Vichy, is reminiscent of a moated castle. It offers a gourmet restaurant, function rooms for meetings or banquets, a garden and a library. Château de Candie is a historic 14th-century chateau set in a large park, and featuring guest rooms inspired by historical characters. It offers an outdoor swimming pool with a shaded terrace. Chateau Des Saveurs is an elegant guest house located in Saint-Sauveur-dâ€™Ã‰malleville. It features a seasonal outdoor swimming pool, tennis court and a spa area with hammam, sauna and fitness machines. 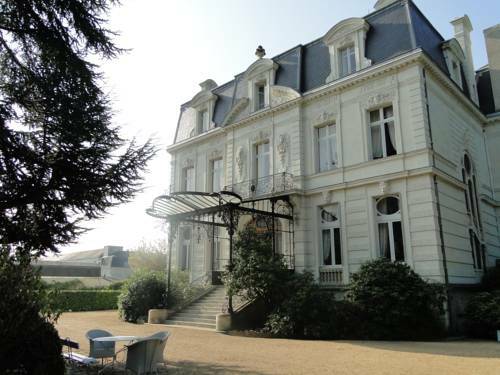 This 19th-century chateau is set in a 25 hectare park, just 1 km from the centre of Faux. 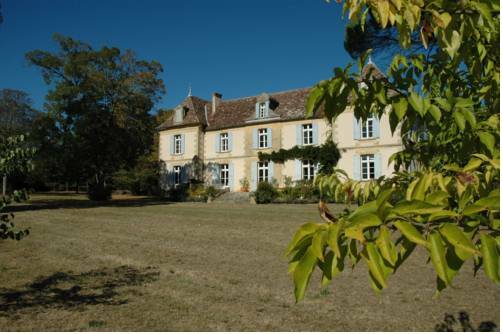 It is a 20-minute drive from Bergerac and also offers an on-site swimming pool, library and games room. 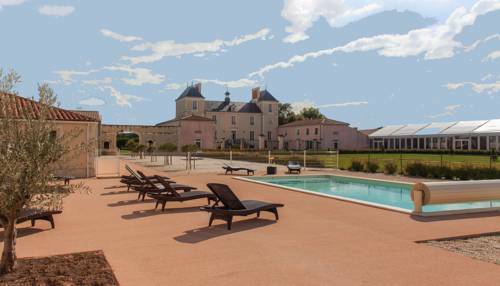 Offering an outdoor swimming pool and free bikes, Chateau Lardier is located in Ruch. Free WiFi access is available. 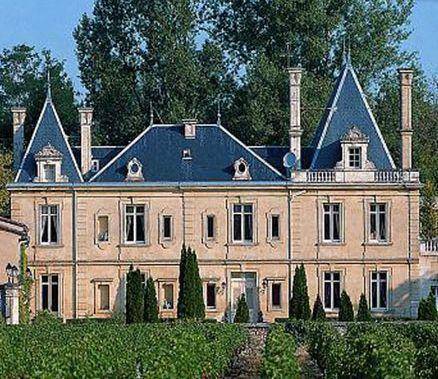 Set among the vineyards of central France, this 16th-century chateau features a seasonal swimming pool in the 4-hectare park. 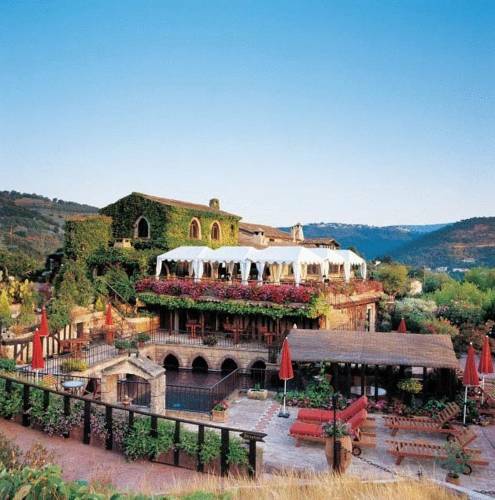 The gastronomic restaurant serves organic produce from the region accompanied by regional wines. Chateau du Val De Cèze is a hotel situated near the centre of Bagnols-sur-Cèze and between Pont du Gard and Ardeche Gorges. It offers free Wi-Fi, an outdoor swimming pool and a restaurant. Avignon is just a 20-minute drive away. Chateau de Cop Choux is located between Nantes and Angers and housed in a castle dating from the time of the French Revolution. The hotel has a pool and tennis court. Each room has an en suite bathroom with bath or shower. 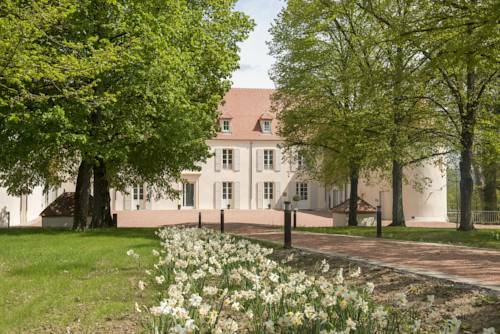 This 18th-century chateau is set in a 2.5 hectare park, at the gateway to Bourgogne. It offers architect-designed rooms and a heated outdoor swimming pool. 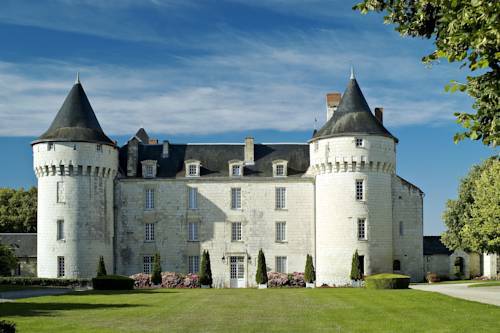 Built in 1624 by the Counts of Fleur Ville, Chateau de Fleurville is located 14 km from Tournus and 16 km from Macon. Surrounded by a 2-hectare park, it offers a heated, outdoor swimming pool, a hot tub and a tennis court. 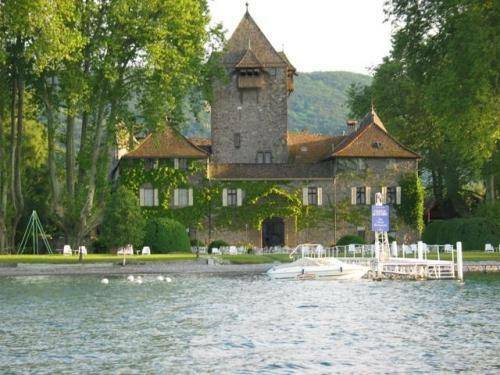 This 13th-century chateau is located in Vignieu, in the Rhône-Alpes region. It is set in a large wooded park and offers a heated swimming pool and free Wi-Fi access. 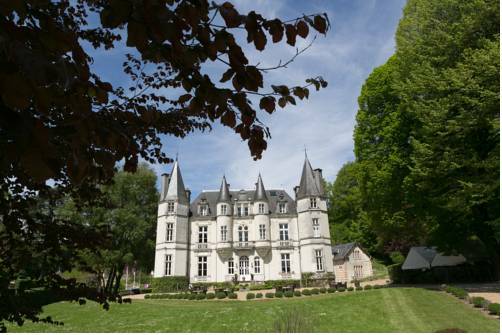 Built in 1862, this stunning castle is located on 12-acre wooded park, 6 km from Cholet City Centre. It offers a heated outdoor swimming pool with a fully furnished terrace. 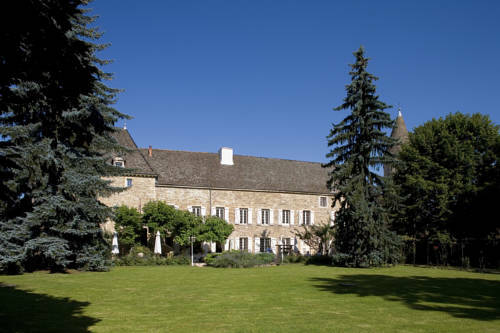 Set in the heart of the Burgundy area, this former castle (12th and 18th-centuries) offers a welcoming atmosphere and blends tradition with modern comfort. The Chateau De La Barbinière is located 1 km outside Saint-Laurent-sur-Sèvre, in the northern Loire. It offers a swimming pool and spacious air-conditioned rooms, each with a private bathroom, satellite TV and free Wi-Fi. Surrounded by the Ardèche hills, Chateau du Besset - Saint Prix offers an outdoor swimming pool, bar, children's playground, a sauna and massage treatments. 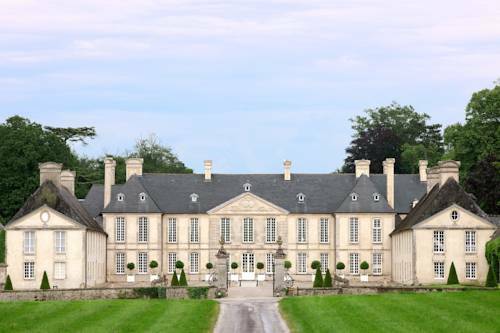 The 17th-Century chateau is a 25-minute drive from Le Cheylard. 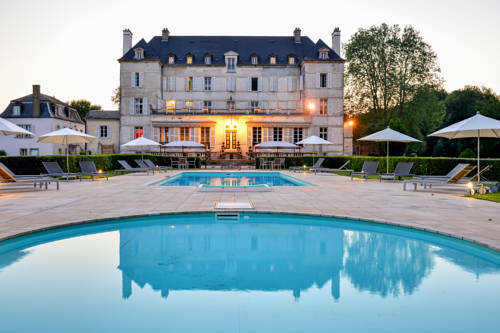 This elegant chateau offers an outdoor swimming pool, restaurant and air-conditioned rooms with free Wi-Fi. 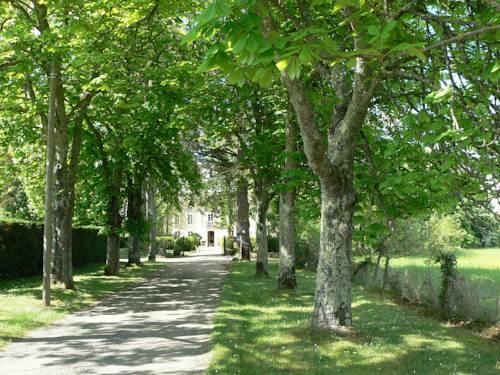 It is located in the village of Lignan-sur-Orb amongst a 7 hectare park on the banks of the River Orb. 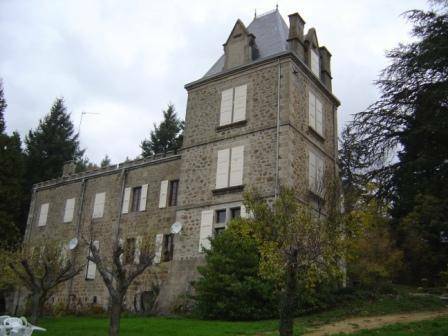 This Chateau is located in the heart of the Brie countryside. It offers soundproofed accommodation and an indoor swimming pool and tennis court. 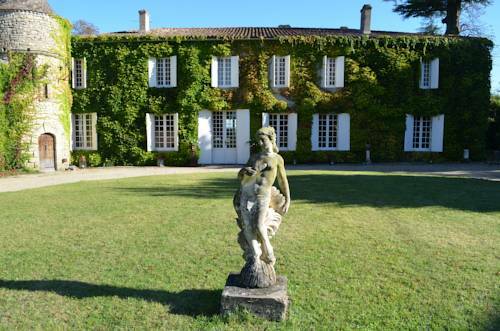 Just 5 km from Carcassonne, this 17th-century chateau features an outdoor swimming pool, a tennis court and a sauna. Chateau de Cavanac offers spacious rooms and suites which have been decorated in a classic style and named after flowers. 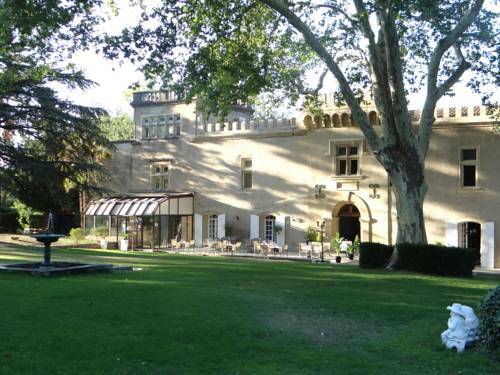 The Chateau De Palaja is located in Palaja village, a 5-minute drive from Carcassonne. It offers free access to an outdoor swimming pool, sauna and fitness room. 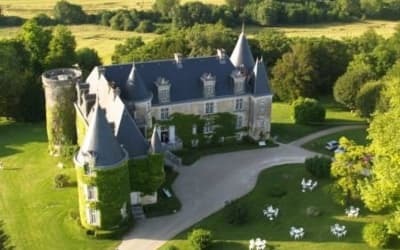 This elegant mansion from the 19th-century building located in the heart of the Médoc area welcomes you in a vineyard which has been planted with vines for more than 3 centuries. 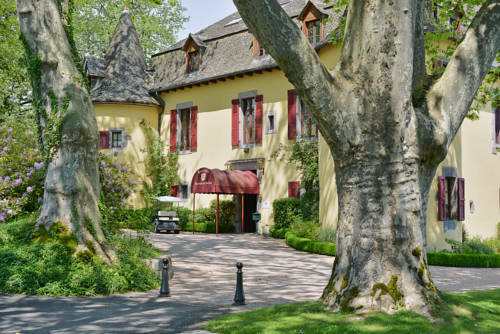 Located on the shores of the Lake of Geneva, the Hotel Chateau de Coudrée welcomes you in a 12th-century castle set close to Evian. It is a great choice for food lovers. Stay in the stunning setting of a 12th-century castle. Housed in a historical castle near the city of Amboise, this hotel with an excellent restaurant and a beautiful garden offers charming rooms with 4-poster beds and authentic decor. 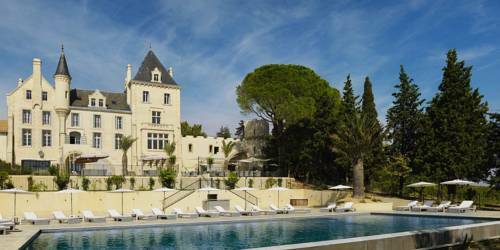 Chateau Hotel La Vignette Haute overlooks the Siagne Valley and its gorges. 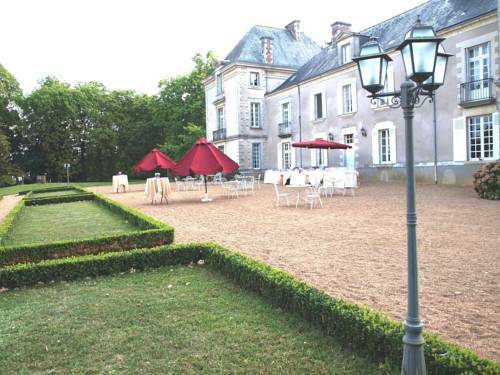 Offering a restaurant and free bikes at your disposal, Chateau des Salles is located in Saint-Fort-sur-Gironde. Free WiFi access is available. Each room here will provide you with a TV. 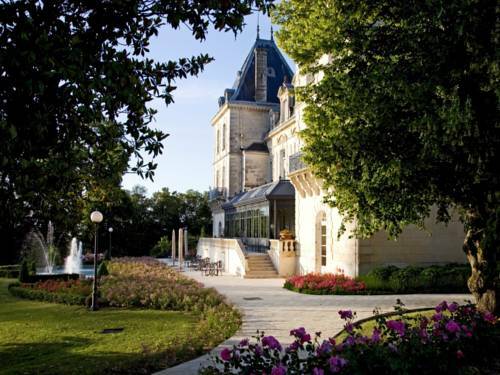 The Chateau d'Esclimont is a 5-star hotel-restaurant situated less than an hour from Paris. It offers individually decorated rooms with flat-screen TV and Wi-Fi internet access. . 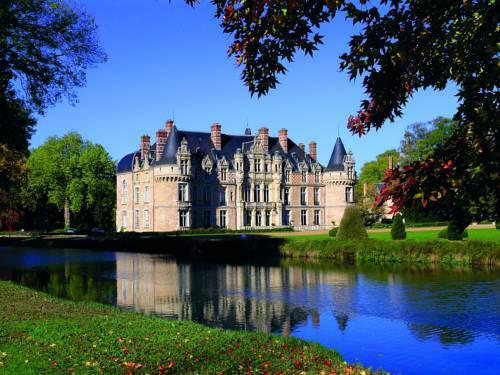 Located 60 kilometres south of Bourges, Chateau de Saint Augustin is an officially classified Historic Monument. The castle offers 5 rooms and suites with an original 18th century décor. 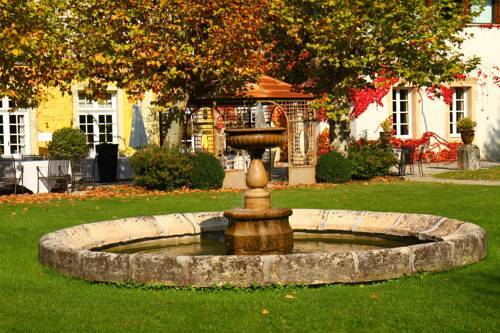 This hotel with a wine cellar is set in a garden in the heart of the vineyards of Champagne. 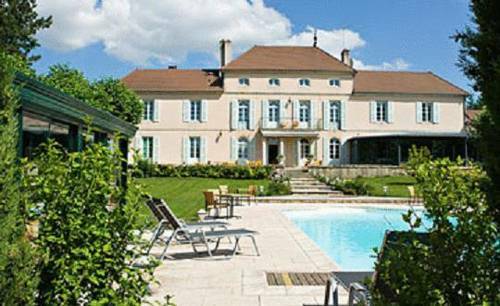 It has a sauna and a spa bath and is 650 metres from Rilly-la-Montagne SNCF Train Station on the Epernay-Reims line. The Chateau De Marcay is located in the village of Marcay. The hotel has extensive gardens and an outdoor swimming pool, tennis court and gastronomic restaurant. Set on a 4-acre park, this 17th-century castle features an outdoor swimming pool and courtyard. It is located 2.5 km from the town of Roquecor. Gaiety and elegance are the two words which automatically spring to mind to describe this magnificent 18th-century chateau, a listed building set amongst exquisite French gardens and parkland. 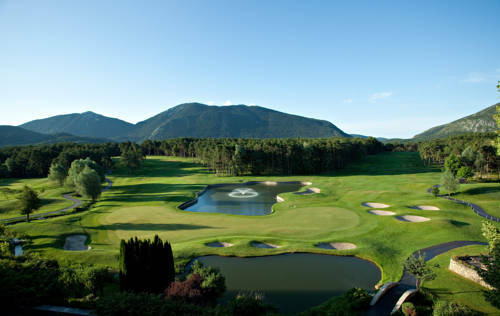 The Chateau de Taulane is a 4-star hotel located 20 km from the Verdon Gorge in stunning surroundings with a 18-hole golf course. It offers elegant rooms and excellent facilities and Grasse is 40 km away. 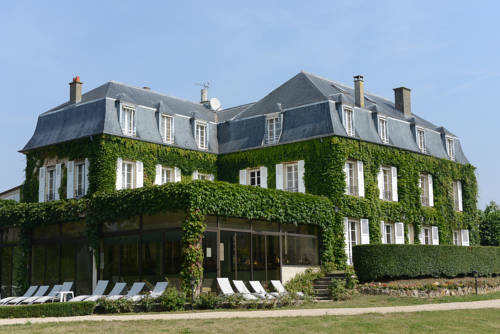 Surrounded by vineyards, this hotel is set in Courcelles-de-Touraine and opens up to a golf course. Guests are free to relax in the Mediterranean garden or on the veranda. The Chateau de Montvillargenne is situated in Chantilly, 35 kilometres north of Paris. It is just 20 minutes from Charles de Gaulle airport and offers a peaceful park setting, an indoor swimming pool and spa facilities. This 12th-century fortress, once the summer residence of the Marquis de Rochegude, sits on the heights of the Côtes-du-Rhône. It features a tennis court and swimming pool in the 25-acre park. 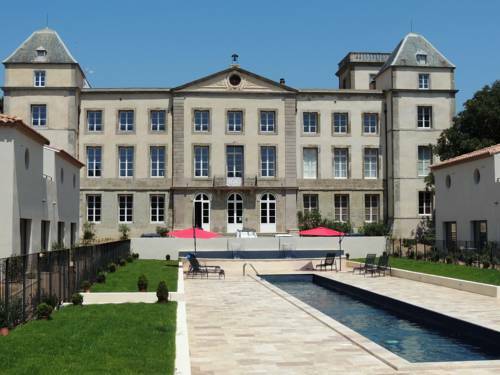 Set in the Languedoc countryside, this 19th-century castle with wine domain is now a luxury hotel. It offers an infinity pool, tennis court, pétanque pitch, BBQ facilities, greenhouse and a garden with an orchard and olive grove. 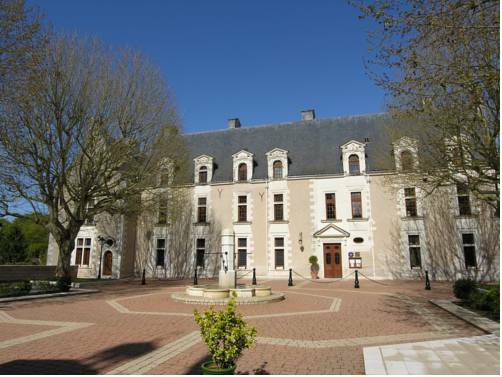 Chateau De Verrières is peacefully located in a four acre park, in the heart of Saumur. It offers elegant surroundings, personalised service and free Wi-Fi. Rooms are authentically decorated and retain the private mansion atmosphere. 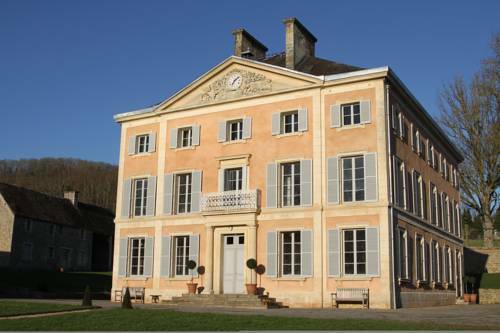 This chateau is surrounded 24-hectares of dales and offers elegant guest rooms in the village of La Pommeraye. It offers free Wi-Fi and is a 47-minute drive from Caen. 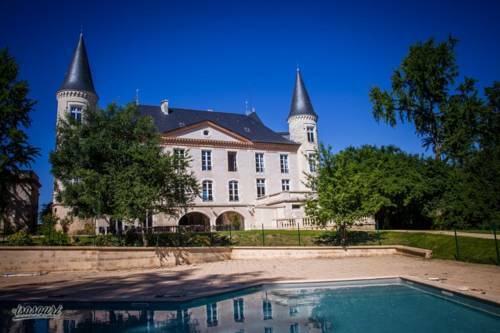 Chateau des Faugs guest house is set in a castle offering a garden, a terrace, valet parking and an outdoor swimming pool. On-site activities include a tennis court, table tennis and bikes available for free. 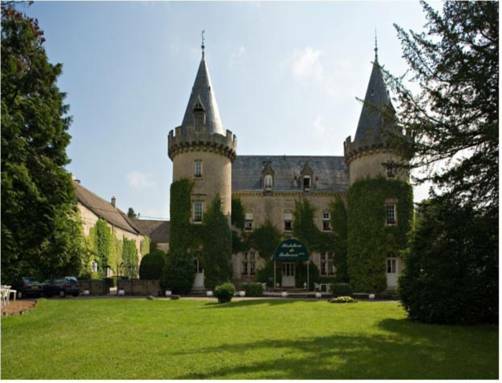 Set within an 8-hectare park, this renaissance castle is a luxury hotel offering a view of Mirambeau village. It offers 2 swimming pools, a spa with sauna and a hot tub. The air-conditioned guest rooms are lavishly decorated with period furnishings. 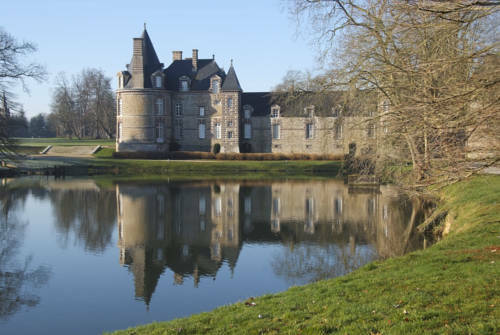 Chateau de Canisy is situated on 300 hectares of parkland in Normandy, 8 km from Saint-Lô and a 35-minute drive from the coast. It offers en suite rooms with free Wi-Fi access, each decorated to reflect different periods in French history. 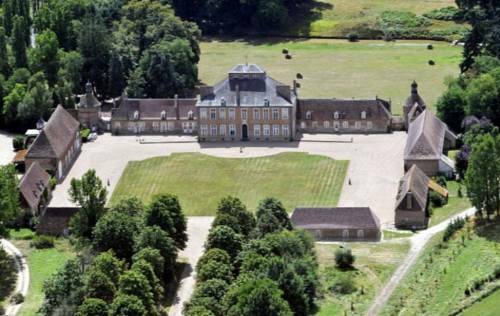 Chateau de Varillettes is situated in Saint-Georges, 5 km from the village of Saint-Flour. 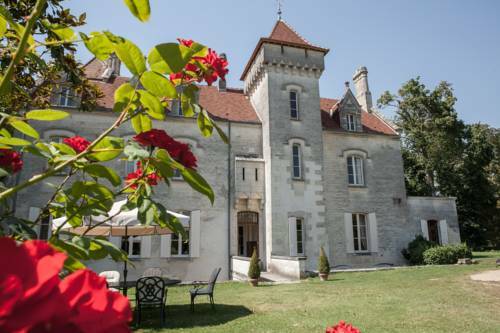 This 15th-century chateau sits on a 1 hectare park, which features a medieval garden, a heated swimming pool and a tennis court. 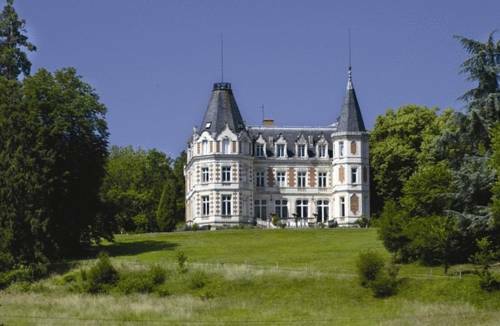 Chateau de L'Aubriere is located in a 15 hectare landscaped park overlooking the Choisille Valley. It is 7 km from Tours. Free Wi-Fi is available in public areas. The Chateau's rooms and suites are en suite and some have four-poster beds.